Why I Live at the P.O. 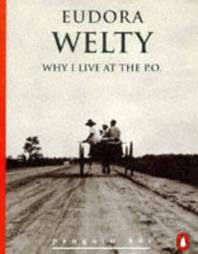 essays delve into the story by Eudora Welty that takes place in China Grove and revolves around the life of Sister. The story itself takes place in the small town of China Grove, where Sister’s uneventful life is turned upside-down by the arrival of her sister, Stella-Rondo, recently separated from her husband. Stella-Rondo shows up with a little girl, Shirley-T, who she claims is her legally adopted daughter. Sister, however, believes the girl to be her biological daughter. Much of the story then concerns various arguments that the family members have, sparked by the confrontation between Sister and Stella-Rondo over the child. Mama especially wants Sister to apologize, both for the accusation and her making tomato-pickles, a food that several family members cannot eat. As a result of the arguments, Sister moves to the post office, taking all of her possessions. The rest of the family tells her they will never step foot in the post office again, nor send or receive mail. Sister moves to the post office, where she tries to tell herself that she is happy. There is little actual mail to sort in the small town, and townspeople are split as to whom they support in the feud. Sister then announces that she will not listen to Stella-Rondo’s apology. A Worn Path Research Papers discuss how Eudora Welty deals with an African American character that has courage and dedication. A Worn Path by Eudora Welty essays examine the short story of an elderly African-American woman named Phoenix on a journey through the woods to acquire medicine for her grandson. A Worn Path Symbolism essays discuss Eudora Welty’s 1941 short story. Order a research paper on symbolism from Paper Masters. Death of a Traveling Salesman research papers delve into the story, written by Eudora Welty, that takes place inside the mind of a traveling shoe salesman. How to Write an Essay on Why I Live at the P.O. Paper Masters Custom Essays on Why I Live at the P.O. Paper Masters writes custom essays on Why I Live at the P.O. and delve into the story by Eudora Welty that takes place in China Grove and revolves around the life of Sister.